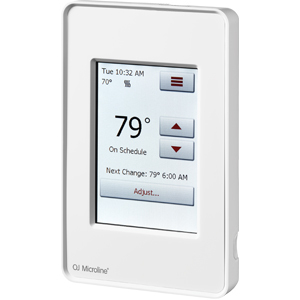 King’s ClearTouch F902GFC has been designed for floor heating applications, combining user-friendly touch sensitive buttons with a sleek modern design, and the safety of GFCI protection. 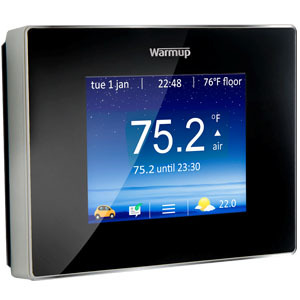 Offering simple control of a room’s floor heat temperature. 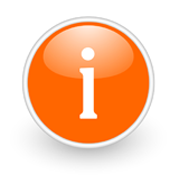 The built-in Ground Fault Circuit Interrupt (GFCI) provides worry-free operation and includes a floor sensor. 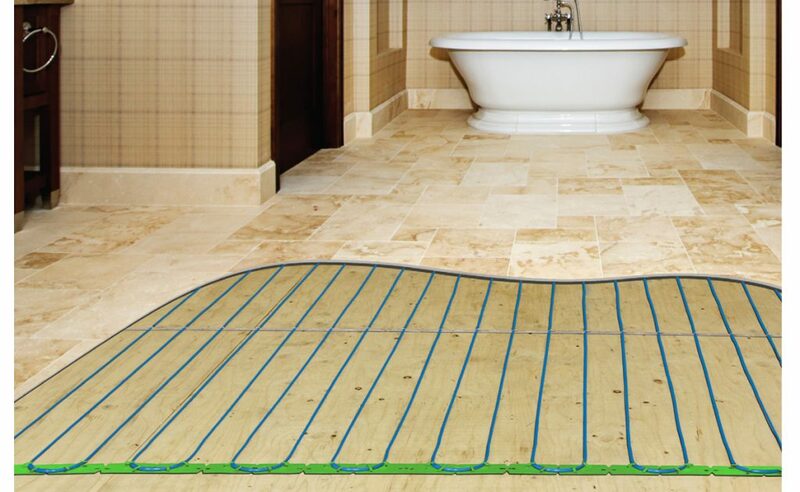 Required for Floor Heat Applications. 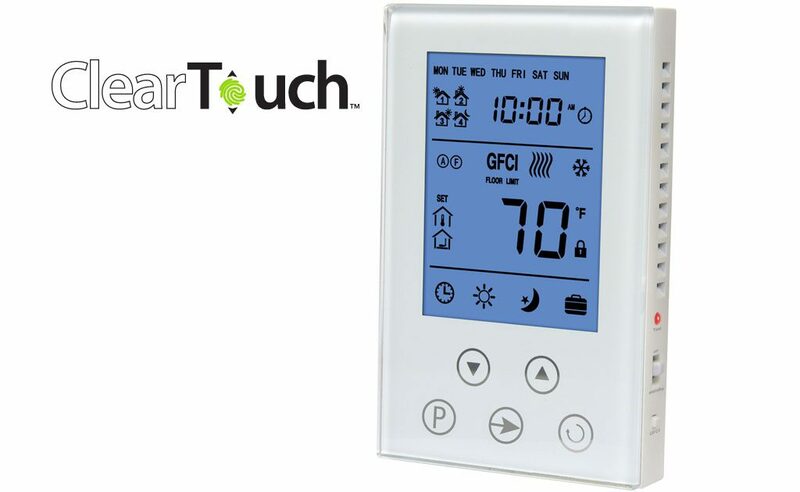 ClearTouch’s electronic sensing, provides highly accurate temperature control (±1°F, ±0.5°C), saving up to 15% on your heating costs.Specifically designed for radiant floor heating systems installed in bathrooms and kitchens. 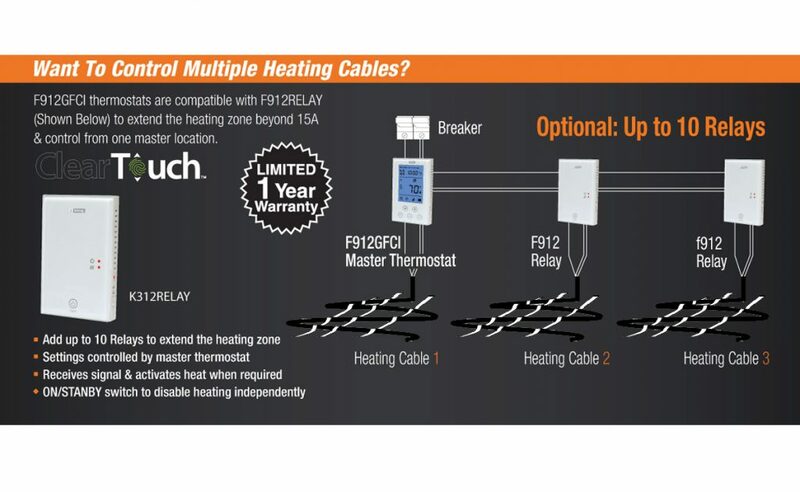 Compatible with the F912GFCI Slave Relay. 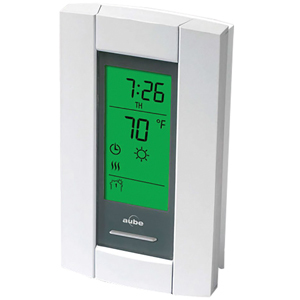 Can be used with F912RELAY (purchased separately) to control up to 10 thermostats from one master location.